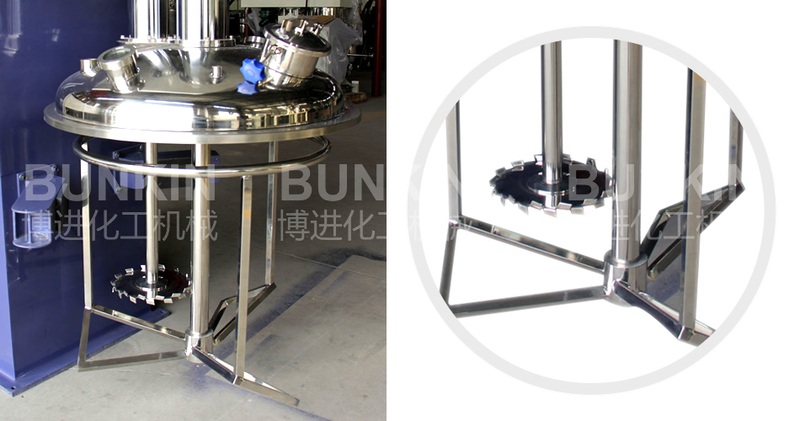 Double Shafts Disperser_Anhui Bunkin Chemical Machinery Co.,LTD. Applied materials: Suitable for many kinds of vicious liquid chemicals such as adhesives, pastes, inks, putty, glues etc. The butterfly mixer produces a good radial power through the circular motion which accelerates the material circulation and improves the dispersion efficiency. Adopt hydraulic cylinder as lifting actuators. Control the hydraulic up, stop, down through the oil pump, easy operation and stable, easy operation and stable. The dispersing disc is fixed to the main shaft with Hexagon Socket-head cap screws, which can be disassembled and exchanged quickly, easy to clean. 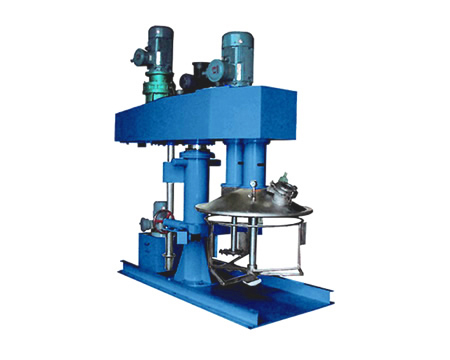 Different design of dispersing discs and agitators based on different production technology and materials property ensure the best dispersing and mixing result. The agitator can be with scraper to avoid mixing dead zones, prevent materials from staying on the wall to better the uniformity of the products. Different options are available such as explosion-proof type, closed type. ?Material can be customized to be SS304\SS321\SS316L .